Florida has headed to a recount yet again — this time, in three statewide races. With Florida's U.S. Senate, gubernatorial, and agriculture commissioner races all falling within the narrow margin that automatically triggers a recount, Secretary of State Ken Detzner ordered machine recounts in all three. The state is no stranger to recounts and extended election travails. In 2000, its presidential recount was the focus of the Bush v. Gore lawsuit that decided the presidency, and now election officials will recount ballots yet again. Florida's U.S. Senate and governor's races have been among the most closely watched in the nation. Both races had lower than 0.5 percentage-point margins, which, in Florida, automatically qualify for an electronic recount of votes. 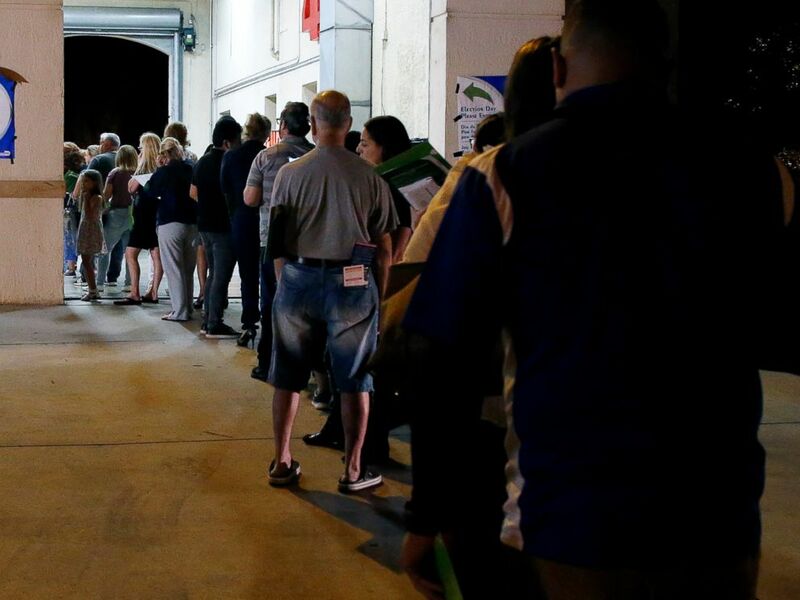 People wait in line to vote at a polling station in Miami, late Nov. 6, 2018. In the Senate race, results show Republican Gov. Rick Scott leading incumbent Democratic Sen. Bill Nelson by 33,684 votes, a 0.15 percent margin. On Saturday, Gillum tweeted before a news conference that he was walking back on his concession from the night of the election, saying, "I am replacing my earlier concession with an unapologetic and uncompromised call to count every vote." 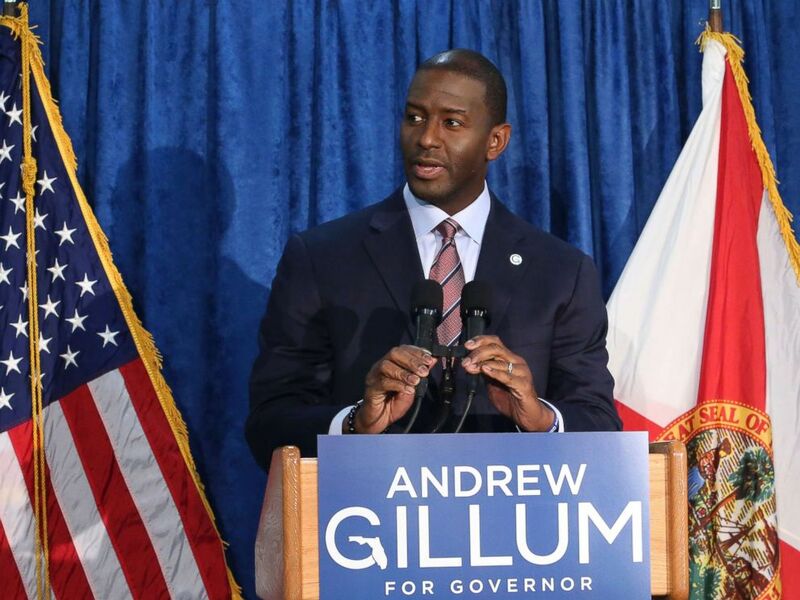 During the press conference, Gillum called out President Donald Trump, Gov. Scott, Sen. Marco Rubio for their opposition to the recount, saying he was unsure of their excuse but that it was "not democratic and... certainly if not the American way" to end the vote count simply because they don't like the direction in which the vote totality is going. He added that if the shoe was on his opponents' foot, "not one of them would seek a different outcome." He also noted that once the recount occurs, he's willing to accept whatever the outcome is. Andrew Gillum, the Democrat candidate for governor, withdraws his concession in the race at a news conference on Nov. 10, 2018, in Tallahassee, Fla.
Gillum's attorney Barry Richard, who represented George. W. Bush during the 2000 recount, said that the two situations were "vastly different" but called both "unprecedented" in their own right. "We've never had this type of machine recount before, and at some point, we may have to have courts tell us what the answer is," Richard said. "My immediate reaction is that it goes back to the premise that every vote should count." 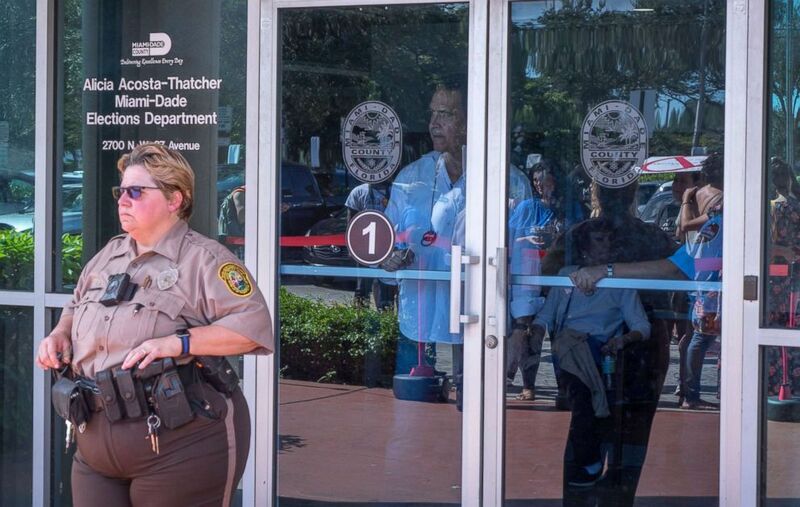 A police officer guards the entrance of the Miami-Dade Election Department while a crowd protests to demand the vote recount outside this facility in Miami, Nov. 10, 2018. In a video posted to YouTube on Saturday, DeSantis spoke about the governorship without mentioning recounts. "At noon today, supervisors of election from across the state submitted their election returns to the secretary of state," he said. "Those results are clear and unambiguous just as they were on election night, and I'm honored by the trust that Floridians have placed in me to serve as your next governor." Local officials will have until 3 p.m. on Nov. 15 to complete a machine recount of votes in those races, Detzner wrote in his official recount orders. In the case of the gubernatorial race, if results show there is still a margin lower than 0.25 percentage points, a manual recount will be triggered. Counties had faced a noon deadline to report their unofficial results to state election officials. 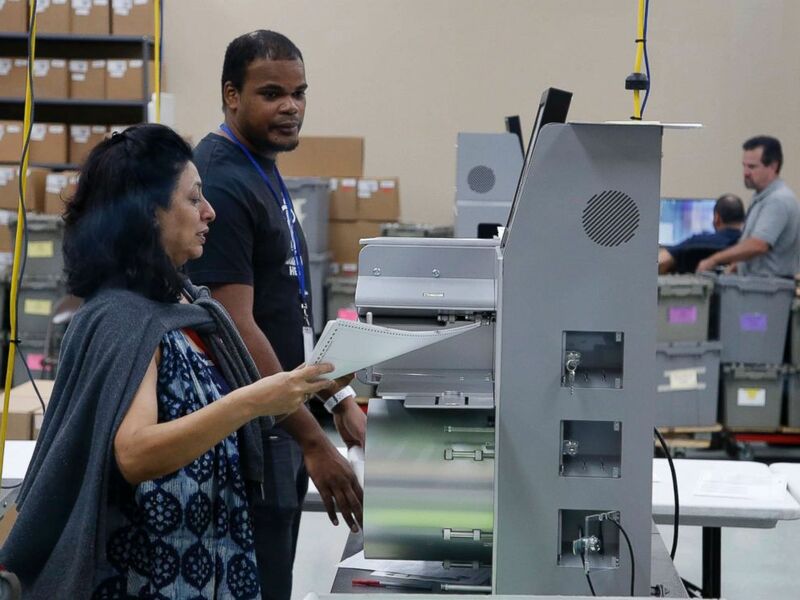 An elections worker feeds ballots into a tabulation machine at the Broward County Supervisor of Elections office on Nov. 10, 2018 in Lauderhill, Fla. In the last two days, attention had turned to vote counting in Broward and Palm Beach Counties — Democratic strongholds in South Florida where counting was still underway, and where Scott's campaign had filed lawsuits against county election officials. Broward — and its election supervisor, Brenda Snipes — had drawn the most criticism from Republicans, after reports that rejected provisional ballots had been mingled with valid ones, complicating the counting process. Around midday on Saturday, Broward's website showed that its unofficial results were "completely reported."